Responsibilities The professionals at the National Security Agency (NSA) have one common goal: to protect our nation. The mission requires a strong offense and a steadfast defense. The offense collects, processes, and disseminates intelligence information derived from foreign signals for intelligence and counterintelligence purposes. The defense prevents adversaries from gaining access to sensitive classified national security information. 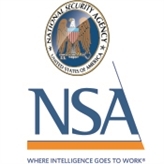 NSA is the nation's leader in providing foreign signals intelligence while also protecting U.S. government information systems, forging the frontier of communications, and data analysis. We serve the American people by applying technical skills to meaningful work, keeping our friends and families safe for generations to come. You will make a lasting impact serving your country as a Data Scientist at the National Security Agency, using your curiosity to analyze large data sets to inform decision-making against foreign threats. We are looking for critical thinkers, problem solvers, and motivated individuals who are enthusiastic about data and believe that answers to hard questions lie in the yet-to-be-told story of diverse, complicated data sets. You will employ your mathematical science, computer science, and quantitative analysis skills to ensure solutions to complex data problems and take full advantage of the NSA's software and hardware capabilities in all areas of our enterprise, including analytic capabilities, research, and foreign intelligence operations. Data Scientists are hired into positions directly supporting a technical mission office or the Data Scientist Development Program (DSDP). The NSA/CSS Data Scientist Development Program is a three-year opportunity to build your data science talent, experience the breadth of data science at NSA through six- to nine-month assignments in a variety of diverse organizations, and collaborate with NSA's experts in the field of data science. You will have opportunities to attend technical conferences with experts from industry and academia. You will routinely discuss and share NSA's challenges and successes at weekly technical roundtables. We foster an environment where you will develop your data science skills, allowing you to quickly contribute to NSA's mission. As a member of a technical mission office or the DSDP, Data Scientists tackle challenging real-world problems leveraging big data, high-performance computing, machine learning, and a breadth of other methodologies. - Developing analytic plans, engineer supporting algorithms, and design and implement solutions which execute analytic plans. Degree must be in Mathematics, Applied Mathematics, Statistics, Applied Statistics, Machine Learning, Data Science, Operations Research, or Computer Science. A degree in a related field (e.g., Computer Information Systems, Engineering), a degree in the physical/hard sciences (e.g. physics, chemistry, biology, astronomy), or other science disciplines (i.e., behavioral, social, and life) may be considered if it includes a concentration of coursework (typically 5 or more courses) in advanced mathematics (typically 200 level or higher; such as calculus, differential equations, discrete mathematics) and/or computer science (e.g., algorithms, programming, data structures, data mining, artificial intelligence). College-level Algebra or other math courses intended to meet a basic college level requirement, or upper level math courses designated as elementary or basic do not count. Note: A broader range of degrees will be considered if accompanied by a Certificate in Data Science from an accredited college/university. Relevant experience must be in designing/implementing machine learning, data mining, advanced analytical algorithms, programming, data science, advanced statistical analysis, artificial intelligence, and/or software engineering. Experience in more than one area is strongly preferred. Relevant experience must be in two or more of the following: designing/implementing machine learning, data mining, advanced analytical algorithms, programming, data science, advanced statistical analysis, artificial intelligence, or software engineering. Pay, Benefits, & Work Schedule On the job training, internal NSA courses, and external training will be made available based on the need and experience of the selectee. Please note that you will be asked a series of questions and your responses will be used as part of the screening process of your application. Your responses will assist in determining your eligibility for the position. Failure to provide the required information or providing inaccurate information will result in your application not being considered for this position. Only those applicants who meet the qualifications for the position will be contacted to begin employment processing. DCIPS Disclaimer The National Security Agency (NSA) is part of the DoD Intelligence Community Defense Civilian Intelligence Personnel System (DCIPS). All positions in the NSA are in the Excepted Services under 10 United States Codes (USC) 1601 appointment authority. Want to get notified about new jobs at National Security Agency?